Portland is notorious for its clouds, rain, hipster smash, and food carts; however, a lesser known truth is that Portland has Tegenaria Agrestis, aka HOBO SPIDERS. Flesh-rotting, poisonous Hobo Spiders. On your bed. In your home. Inside your cereal. Indeed, they’re here and in the numbers. All sources report this particular spider as being extremely poisonous; however, there are some websites that claim Hobo Spiders poise no real threat to human beings. 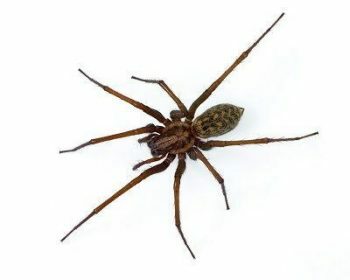 However, if you know somebody who was bitten by a Hobo Spider and has a large scar from where it rotted his flesh for several months; you don’t want to take any chances, whatsoever. Think you’re seeing more than one? Call an exterminator. 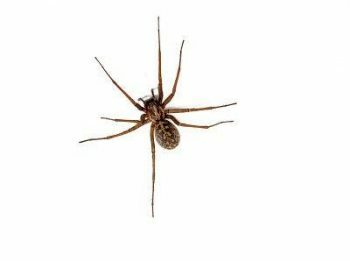 Do you have a Hobo spider bite? Some specialists claim that spiders seldom bite human beings. They’ll also go as far as to claim that the human only is bitten one or two times in a lifetime. I do not buy that because I have been bitten a lot more than that for certain. The argument is that they just bite out of self-defense. Plus, even now some claim the Hobo isn’t even poisonous to human beings. The symptoms of a spider bite from this particular arachnid do not seem like all that much at first. As a matter of fact, for the initial couple of days of the bite you might have just a tiny mosquito-like bite and not be aware of the truth that it was a venomous arachnid that bit you. After a couple of days, the symptoms involve rotting flesh (necrotic wound) over a time span of a couple of weeks. One other reported symptom involves an incurable headache (and aspirin will not work) which may last as many as seven days. Spider Season: When is it? Because we had such a warmer and earlier summer we might expect to witness more arachnids and larger spiders come Autumn here in Portland. 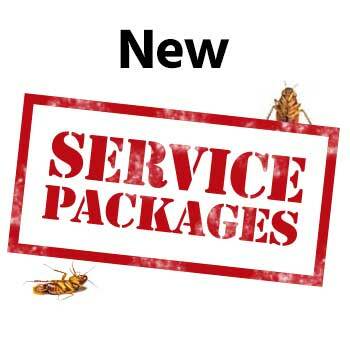 Most of them remain outdoors consuming other insects the majority of the summer yet as the temperatures begin to dip, after a warmer, longer season with more food, they’ll begin to come indoors. They’ll enter in the Fall looking for mates which is the reason why they always are roaming the floors in the evening. Male Hobos only live for a couple of months in the summertime and get consumed by a female after mating in autumn. Female spiders may live as many as two years. They’re situated throughout the Pacific Northwest. It’s a nocturnal arachnid which resides in holes, dark corners, wood piles, planters, cracks, etc. It is what’s known as a ground arachnid and will spin thick funnel webs upon the ground. Because they are night insects they often are found wandering in houses in the evening or as the light is switched on as they scatter back to hard-to-reach darker spaces. They are extremely quick and that makes them very difficult to kill or catch. The ground spiders wander along the baseboards, floors, wall corners, etc. and have a challenging time climbing up walls. It’s why they usually are discovered stuck in a bathtub or sink without a way out. If you are anything like me, you want the spiders gone rapidly. There isn’t any room in my house for poisonous spiders. If you are like me, you also don’t want to use insect bombs, poison, toxic chemicals, pesticides, etc. Or perhaps you have an inside cat and do not want her playing with the chemicals. Or perhaps you have a baby who you don’t want the chemicals exposed to. These Spider Traps are perfect. I’m horrified at the quantity of spiders that I’ve caught in my bedroom alone. These spider traps are free of poison! They’re just sticky surfaces which catch the spiders. After research was done, they really were the best choice and I’m happy I used them. To be efficient at trapping the spiders you have to place them in corners and along walls. Some claim that peppermint oil, orange oil, and eucalyptus leaves will repel the spiders and keep them out. You wouldn’t to place this in those dark closets and corners in which a spider normally would weave a web. You’d also place this at the windows and doors to keep the new spiders from invading. There’s a similar looking spider specimen you might find in your house here in Portland, Oregon. The Giant House Spider, also known as the Eratigena Atrica. I know, it is horrifying. Both spiders come from European lands and appear very similar. Which is the reason why they’re the most submitted arachnid for identification in Portland, Oregon. Typically, even just a photograph will not cut it and an expert arachnologist has to look at the spider underneath a magnifying glass. However, an adult giant house spider clearly won’t be a Hobo. It is when they are young adults and about the same size that being able to identify them and distinguish the difference between them is almost impossible. While the Giant is creepy, it really battles the Hobo and dominates it; therefore, if you have such monsters roaming around your home, they’re fighting off the toxic, smaller spiders. It’s reported that they aren’t notorious for having a venomous bite and they’re oftentimes handled by human beings. However, they have to be eliminated from my home. I cannot share a bed with spiders. 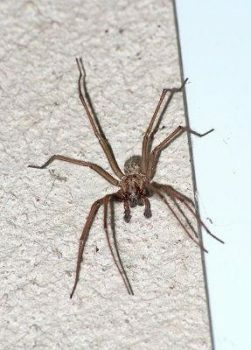 Like the Hobo Spider, they additionally have a difficult time climbing surfaces/walls and are oftentimes discovered stuck in bathtubs and sinks. This is yet another dangerous arachnid here in Portland, Oregon. Thankfully, there’re rare up in Portland and live mainly in Eastern and Southwestern Oregon. However, they’re a problem and they dwell in corners, dark cool places, underneath your bed, inside your shoe, etc. 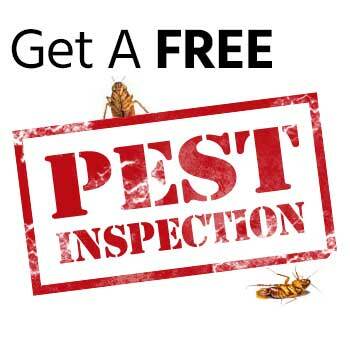 If you are uncomfortable dealing with spiders on your own, please contact us for our exterminator services at The Killers today!